A judge is set to hear arguments Friday in Portland over whether David Marble Jr. should get a new trial. Attorneys for David W. Marble Jr., who was convicted of the Christmas 2015 murders of two Augusta residents, say he deserves a new trial. And a hearing on that request is set 10 a.m. Friday in Cumberland County Superior Court — the day originally set for sentencing. 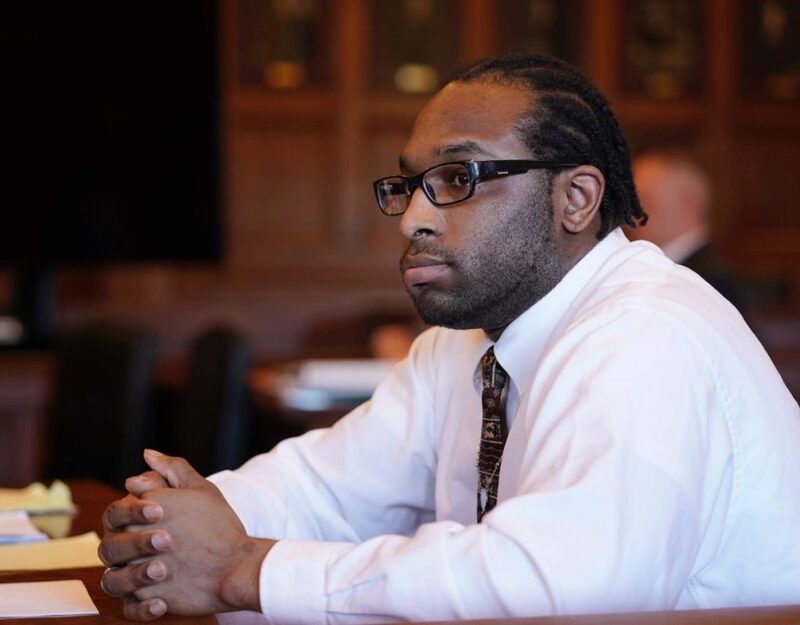 On July 18, a jury convicted Marble, 32, of Rochester, New York, in the execution-style shooting deaths of Eric Williams, 35, and Bonnie Royer, 26, in a rural area of Manchester. 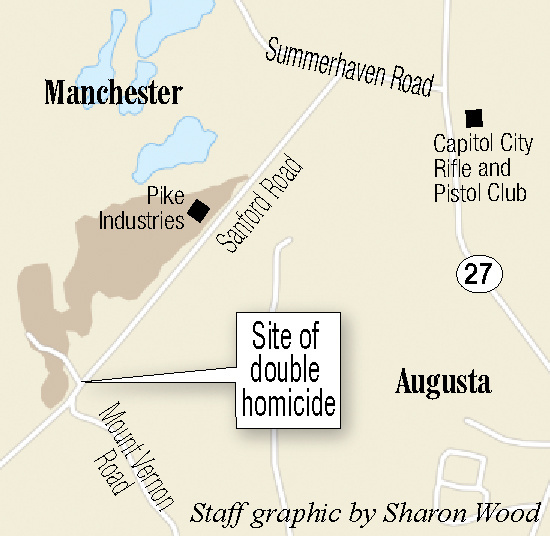 The two lived nearby on Easy Street in Augusta. Shortly after the verdict was returned, Justice Michaela Murphy convicted Marble on a charge of possession of a firearm by a prohibited person. Marble had waived a jury trial on that charge. 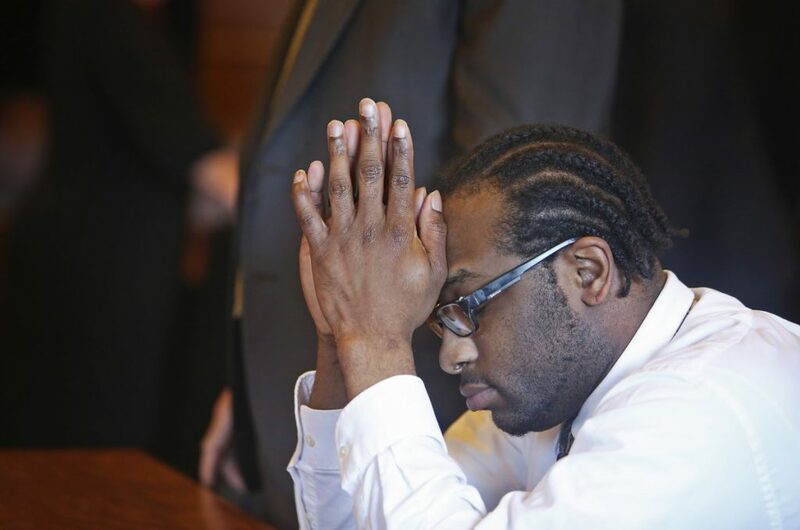 Marble had been convicted in New York of robbery and of criminal possession of a controlled substance, offenses that prohibited him from having a firearm. 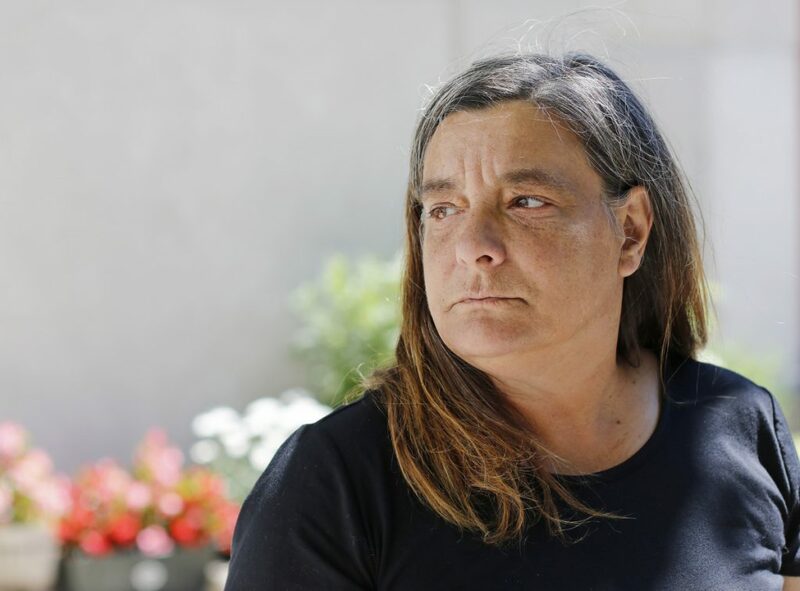 Deputy Attorney General Lisa Marchese, seeking a life sentence for Marble on each count, has asked that the motion for a new trial be dismissed. The state’s response was filed Thursday. Prosecutors said Marble, also known as Dee-Money, shot the two in the head in an act of revenge as he sat in the rear seat of Williams’ Chevrolet Trailblazer. Royer managed to make a 911 call at 3:34 a.m. on Williams’s cellphone but was unable to tell dispatchers the location. “Since no gunshots were heard on the 9-1-1 line that was open until first responders arrived, we know she strove to survive two gunshot wounds, perhaps profoundly motivated by the unborn child she was carrying at the time of her death,” Marchese wrote. Both Williams and Royer were dead when rescuers arrived. 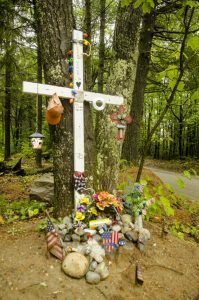 Prosecutors said Marble arranged for Williams, who was with Royer, to pick him up shortly after 3 a.m. Christmas Day and drive to the entrance of a gravel pit on Sanford Road, where Marble shot them, then got into another vehicle and fled. 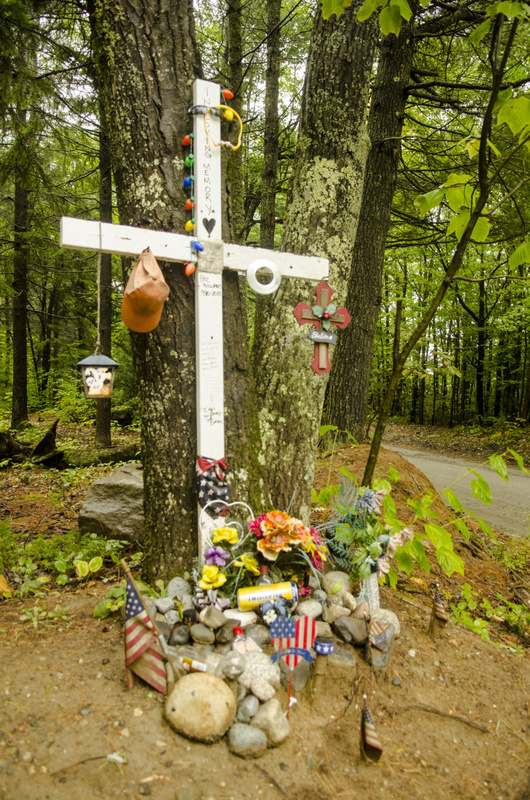 The motive for the killings was the belief — which later proved accurate — that Williams had burglarized Marble’s apartment a few hours earlier while Marble was on a drug run to southern Maine, prosecutors said. Royer was not involved in that burglary. Authorities said Williams bought drugs from Marble and also assisted him in dealing drugs. 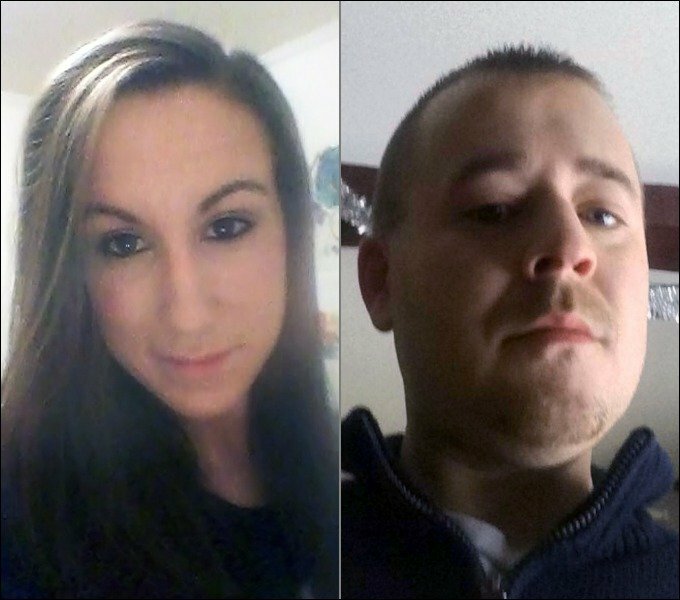 Bonnie Royer, left and Eric Williams, both of Augusta, were killed on Christmas Day 2015 in Manchester. David W. Marble Jr. has been found guilty of their murders. Defense attorneys Neale Duffett and Jon Gale say the judge should have suppressed information about the site location of Marble’s cellphone. Prosecutors cited evidence at trial that Marble’s cellphone, which he insisted to police that only he used, went from his Augusta apartment to the shooting site in the gravel pit and then back to Marble’s apartment. The state said the information on the cellphone location was obtained properly through a warrant. Marchese’s motion also says that the cellphone Royer used to place the call for help included Marble’s cellphone number in it and that Marble’s phone had called the phone belonging to Royer and Williams at 2:14 a.m. that day. The attorneys also say the judge’s instruction to jurors on accomplice liability was prejudicial “because there was no evidence that Marble ‘aided’ another in the shootings.” Defense attorneys say a man identified only as “Metro” was responsible. They also say there was insufficient evidence to convict. “There was no fingerprint, DNA, tire track or footprint evidence implicating Marble,” the motion says. Defense attorneys also say that testimony from one of the main prosecution witnesses, Timothy Bragg, was unreliable. Bragg described what happened and said he drove Marble from the scene. Bragg received immunity from prosecution for any crimes related to the murders. Marchese responded that cellphone location information confirms Bragg’s testimony about traveling to and from the scene of the murders. Bragg also testified that Marble had left his cellphone in Williams’s vehicle after the first two shots were fired that, and he drove Marble back to the scene to retrieve it. 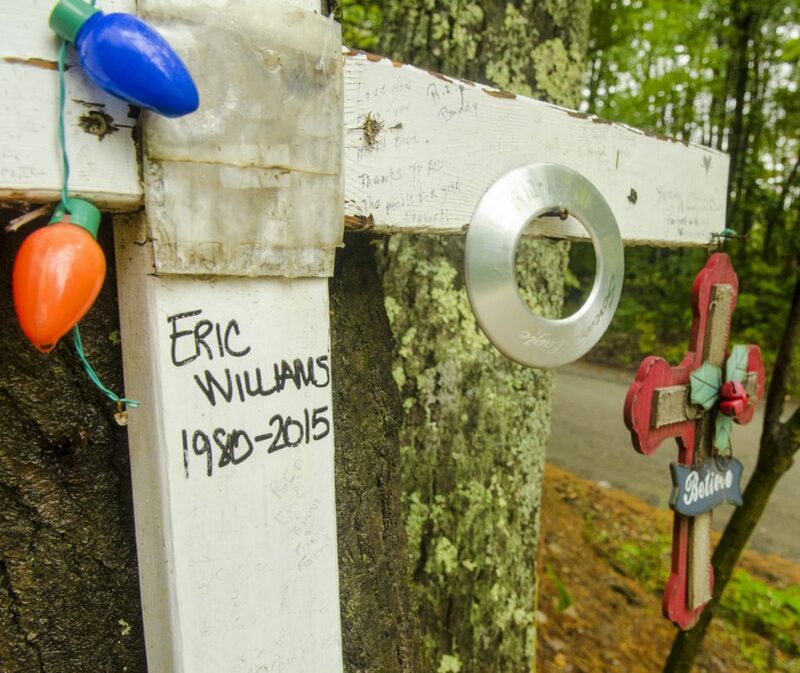 A memorial to Eric Williams, who was murdered near by in 2015 is seen in photo taken on Wednesday near the entrance to a gravel pit in Manchester. Two days later, Marble sent Bragg to purchase a Sig Sauer P250 on Dec. 22, 2015, in Auburn. Police said that was the weapon used to shoot the couple. 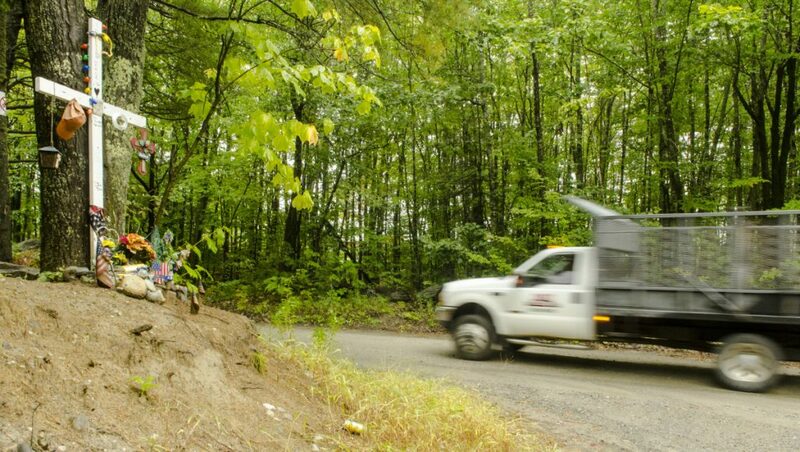 Bragg testified that it was thrown into the Kennebec River near the railroad trestle in Augusta, and Marchese said exterior surveillance video from a nearby site showed Bragg in that location that morning as well as at a convenience story nearby. The Sig Sauer was never recovered despite several efforts involving divers. The other handgun was located at Williams’ house; the case was located at Marble’s apartment, Marchese wrote. The defense attorneys also say other, nonprofessional witnesses were granted immunity in exchange for their testimony and all had convictions involving dishonesty or immorality. Marchese wrote that Marble chose to interact with the people who later were witnesses in the case. She also said the jury was aware of the criminal and drug-related backgrounds of the witnesses. The defense motion also said the state failed to fully investigate others who could have been involved with the shootings. They are referenced by nicknames “Coco,” “Unc,” “Mo” and “Metro.” Marchese said that defense claim was dealt with by the court and by the jury. Marble, who has been in custody since his arrest Dec. 29, 2015, did not testify at his trial. 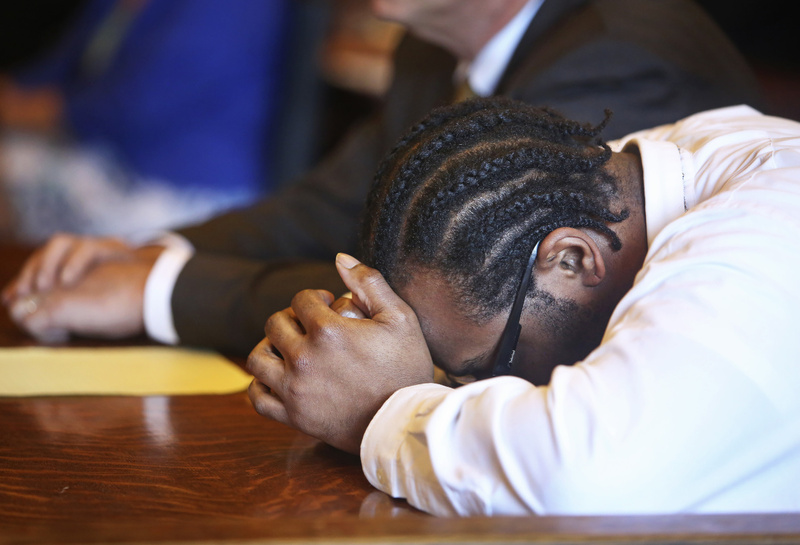 David Marble, Jr. reacts as the jury reads their guilty verdict at Portland Superior Court on July 18. D-Money, or Dee Money, is an alias of Marble’s, but the references to the alias were ordered removed from most court documents because his lawyers were concerned it could be inflammatory, given LePage’s use of the nickname.